Sunset Hills Automotive is your Virginia state inspection and emissions center. We do state inspections and provide emissions repairs at all of our locations. Our shops are licensed by the state to perform your inspections and emissions testing. See us when it is time to make sure your vehicle is operating safely for you and the environment. Sunset Hills Automotive carries passenger and light truck tires from major brands such as MICHELIN®, BFGoodrich®, and Uniroyal®. Ask us about run-flat tires. We care about you and your car at Sunset Hills Automotive. 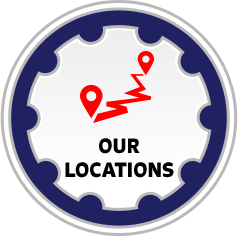 We're proud to be your local tire shop and auto repair center in Northern Virginia for years and counting. We sell and service name-brand tires and provide reliable service and maintenance for drivers from Reston, VA, Herndon, VA, Sterling, VA, and all of the Northern Virginia Area.